⚠️ NOTE: only Organization Admins will be able to view and edit an organization's settings. To become an admin, a current admin of the organization must add you. 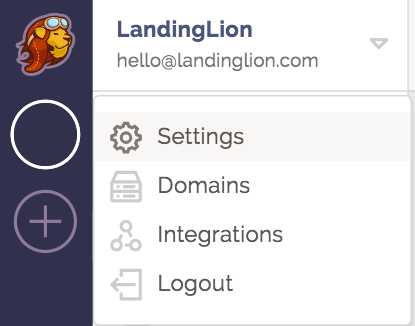 You will find the Organization Settings section in the Left Pane. 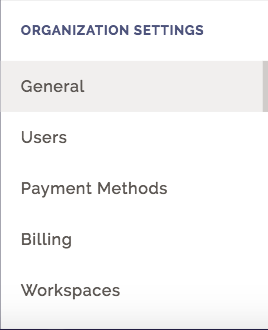 Organization Settings are broken down into five sections: General, Users, Payment Methods, Billing and Workspaces. View, add and remove admins and users from your organization. View, add, edit, remove, select a default payment method. Your default payment method will be charged for your subscription. View the status of your current pricing plan, and see how your bill is calculated. View workspace information and add, archive, or restore workspaces created under your organization.